Fusion of Moods, the first Solo Photographic Exhibition by Dr.Vickum Senanayake, was held from June 22-24, 2018, at the Lionel Wendt Art Centre. 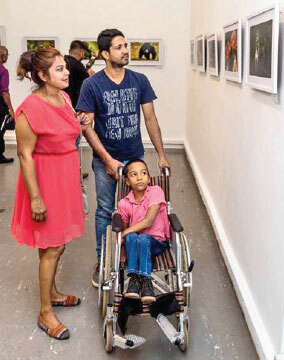 This exhibition coincided with Vickum’s 50th birthday, which fell on June 23, where he created a theme of “50 Years….50 Images…..50 Wheelchairs”, in support of the Cerebral Palsy Lanka Foundation. The ceremony, attended by seniors, professionals in the industry as well as friends, family and well-wishers, was declared open by the son of Dr. Senanayake, Rashvin, along with three kids under the care of the Cerebral Palsy Lanka Foundation. Around 57 images covering life, art, nature, macro, wildlife, travel and portraiture were exhibited, with a high- quality production of a visitor catalogue and a guide on offer to all who graced the three days of the exhibition, where visitors were seen to engage in deep conversations with the author photographer. 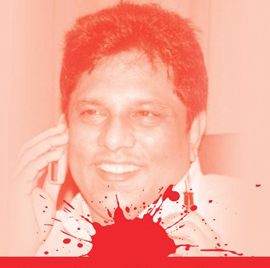 Many were the positive comments made by the guests, which were the endorsements Dr.Senanayake received in recognition of his photographic pursuits. Dr.Senanayake, welcoming the guests, explained the theme of his exhibition and the aspirations behind the celebration of his 50th year and what he intended to achieve with the help of all the donors towards a worthy cause. He thanked all who supported him and provided encouragement, especially his immediate family. Not forgetting his roots in photography, Vickum made it a point to recognize and honor his teacher, Panduka de Silva and mentors, Henry Rajakaruna and Chandrasena Perera. Ms.Agatha Bunanta, Vice President for International Relationships of the Photographic Society of America (PSA), who was the Guest of Honour, could not make it to the event due to her father being indisposed, but sent a formal message which was included in the Visitor Catalogue. Ajith Fernando, Chairman of Wheels for Wheels Lanka Foundation and Dr.Gopi Kitnasamy, Founder Chairman of the Cerebral Palsy Lanka Foundation, who were the Chief Guests, at the opening ceremony, were handed over a collective donation of Rs.810,000/= by Dr. Vickum Senanayake, towards 54 specialized wheelchairs for the kids under the care of the Cerebral Palsy Lanka Foundation. Upon conclusion of the exhibition, Dr.Senanayake gifted an image each to the donors.